This QB ProForm STAT CAMP (Screen Test Assess Train) is a developmental and Instructional clinic. This QB specific assessment led by Gardy O’Flynn reveals your safe throwing goal as well as your potential max distance throws. It accurately measures the QB’s shoulder, torso and leg strength and symmetry. The comprehensive report is included for all attendees. 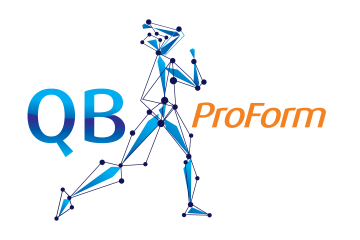 Developed and created by Tom House (QB coach for Brady, Brees, Luck and over 20 other NFL QB’s), Robert Ambrose (CIO/Vice President Tom House Sports Performance) as well as critical on the field training assessments created by QB ProForm’s Directors Gardy O’Flynn and Ken Mastrole (Mastrole QB). Several of this years potential draft QB’s have done this testing (Minshew/Washington State, McSorley/Penn State and Fitzgerald/ Mississippi State). Assessment in core competencies (ball exit speed, foot speed, torso speeds) and instruction based on years of coaching experience with 3D motion principles. Your stage,your opportunity to receive the same instruction as so many NFL quarterbacks and college QB’s receive right here in New England. ON THE FIELD TRAINING- led by Coach Steve Dembowski. Steve Dembowski is a veteran coach with 25 years of experience in the high school football. Steve is currently the Head Coach at Milton high school where he led the Wildcats to Bay State Herget League Championships in 2015 & 2018. The 2015 Championship was Milton’s first in 52 years. Prior to coming to Milton in 2015, Steve spent 21 years coaching in Swampscott. Steve led the Big Blue to four Northeastern Conference Championships and the three Super Bowls after fully committing to the passing game in 2001. Steve was considered crazy in 2001 when he adopted the shot gun spread as his every down offense. However, that season his team flipped its record to 7-4 and broke the state record for touchdown passes (32) in a season. The quarterback, Kyle Beatrice threw 39 touchdowns in 2002 and was selected All-State for a second time. In 2003, Steve rotated two Quarterbacks on the way to another Northeastern Conference Championship and Super Bowl appearance. Over the past 18 seasons, Steve built a reputation as an offensive innovator and credited for his ability to tweak the system to maximize his quarterback’s strengths. His quarterbacks have thrown for more than 40,000 yards and 411 touchdowns since 2001. Steve is also active member of the Massachusetts High School Coaches Association Executive Board since 2003 and the director of Northeast7v7.com, the New England based 7v7 tournament for high school athletes. 6 Hours of on the field instruction and testing specific to the standards of an efficient QB. We will identify what is holding you back from development.